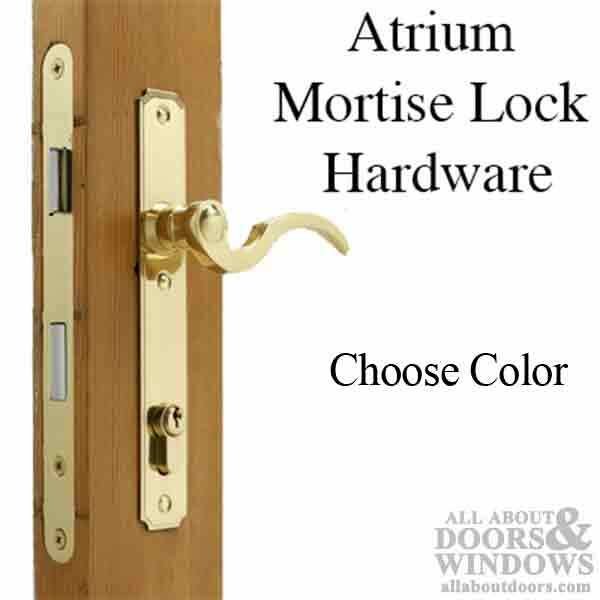 Atrium Door Hardware, Lever Style Brass Mortise Lock. 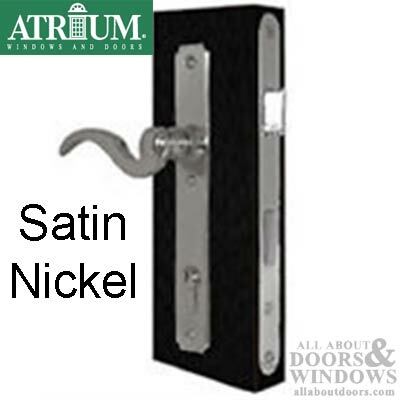 The Atrium lock hardware -set includes everything necessary for replacement, including screws and strike plate. 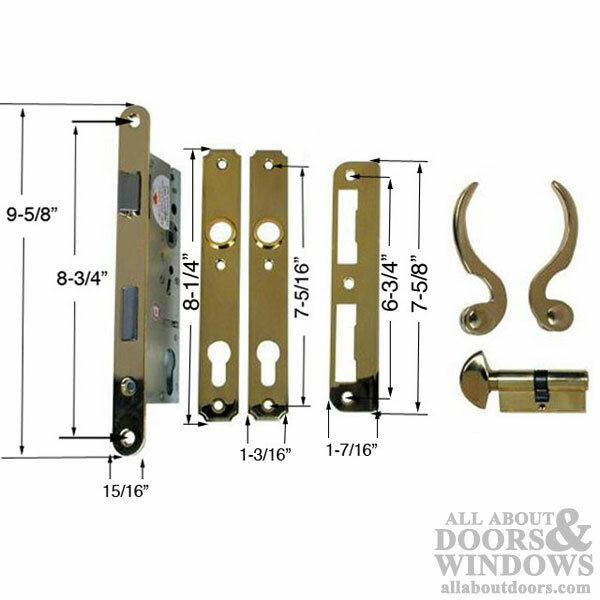 Lock faceplate measures: 15/16 by 9-5/8 inches. 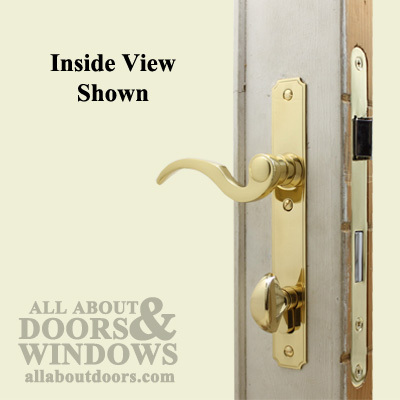 Cylinder Type: Single cylinder lock, Crescent thumb turn inside. Spindle for handle: 5/16 (8mm) x 3-1/4 inch (83mm) on the Square. 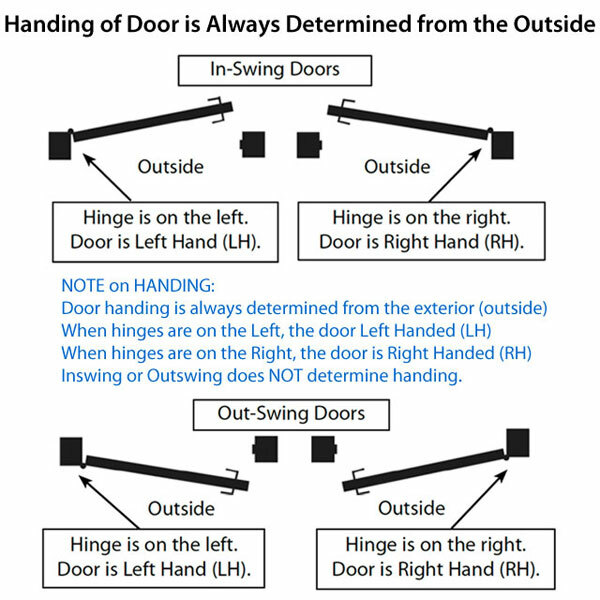 Handing: This handle set can be used in Left and Right hand applications. 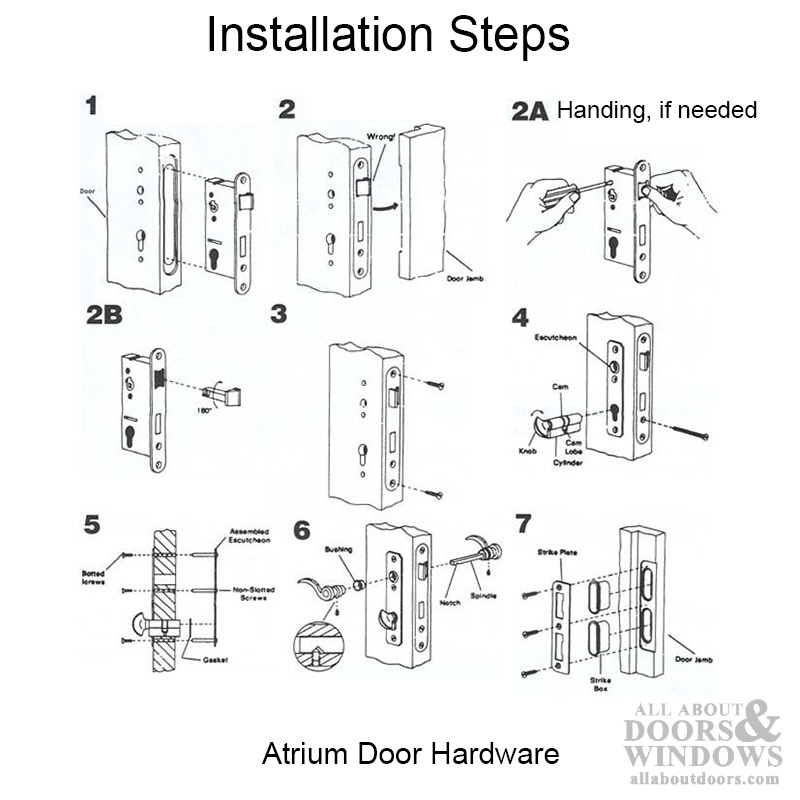 For help with installation of Atrium locks, please read The Atrium Lock Installation Instructions. 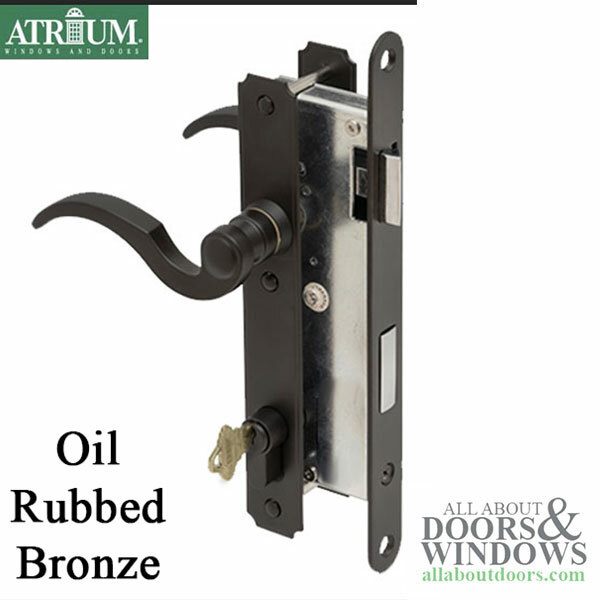 To change to the 40030 or 40031 Satin Nickel, Oil Rubbed Bronze or PVD Polished Brass trim hardware you will have to drill a new hole about 5/8" above the existing top screw hole. The trim plate is longer towards the top and will cover the existing top screw hole. The bottom portion of the plate is slightly smaller (~1/8 inch), and will leave a small part of the old trim imprints visible.